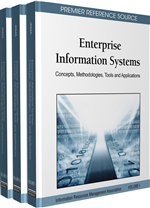 The implementation of Enterprise Information Systems is a difficult task, even for large companies. It can be even more so for Small and Medium Size Enterprises (SMEs), for most are seriously constrained in terms of time, money and skills. The key to successful implementation lies in achieving an alignment between strategy, technology, organization and people, and also in achieving commitment to the new technologies. An implementation method called HiSTOP, which stands for High Integration of Strategy, Technology, Organization and People, is described. This method provides a means of adjusting all four elements so that each is appropriate and also so that all four elements fit together. Although the method was initially designed with SMEs in mind, the method is also suitable for larger companies, hence the chapter considers both types of enterprises. The method places emphasis on development of internal implementation competencies. The key foundational principles of the method are discussed along with some key findings from early trials.